When I first discovered Fields at show at Revival last October, I was won over by their folk-tinged Brit-rock and proceeded to put their EP, 7 From The Village, on heavy rotation. Even then, however, I’d heard some complaining about how they’d been moving towards a glossier, more radio-friendly sound and what I saw was already some ways into… how do the kids put it? The sell-out. Having not heard the earlier stuff to compare it to, I couldn’t comment on that but there was certainly no denying the arena-rock potential in their sound – there were some big choruses on the EP and their live show, even when playing to a sparsely filled room, certainly seemed intended for larger rooms or even arenas. So when I heard that their debut full-length would a) be on a major label (Atlantic) and b) be produced by someone with Korn and Marilyn Manson records on his resume, I began to fear that I had gotten onboard with a band about to become a cautionary tale. And when I got an advance of said record – Everything Last Winter, out domestically next Tuesday – it seemed my fears were justified. I’m generally of the school of thought that re-recording old material to put on a new record is a bad idea. Especially if the impetus for re-recording said song is the fact you now have more studio tracks at your disposal. Sometimes it works (Arcade Fire’s “Keep The Car Running” “No Cars Go” a recent example), most times it doesn’t (hello Wheat’s “Don’t I Hold You”). For Fields, who opted to lead off Winter with a new version of “Song For The Fields”, the same song that opened 7 From The Village and which they’ve already recorded maybe a half-dozen versions of, it really doesn’t. On the “new and improved” version, everything that’s been added – more noodly electric guitar bits, extended outro, layers of more vocals – is superfluous and not only adds nothing but comes at the expense of the medieval-ish vibe that made the original so interesting. It actually made me sad. But here’s the thing. Even though that song starts the record off in a hole – and even after a couple months it still bugs me – the rest of the album more than makes up for it. The overall production still has that distinctive major label shellac to it, but past that, their blend of arena rock, shoegaze and folk can be a potent brew and there’s enough really good songs here to reassure that Fields’ potential hasn’t been squelched, just dressed up a bit funny. 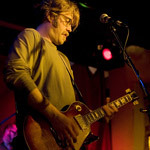 The singles thus far (“Charming The Flames” and “If You Fail, We All Fail”) confirm that the band has a gift for the anthem and aren’t afraid to flaunt it, managing to make them sound huge while walking the fine line between affecting and melodramatic (and mostly managing to stay on the right side). 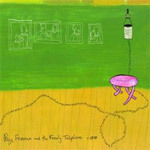 While those who were already disappointed in the direction they were taking half a year ago will probably find much more to dislike than like on this record, an incredibly strong side B (if anyone still thinks in such terms) can’t help but cement the opinion that this is still an excellent debut album and Fields can and will continue to turn out some great music. But maybe find a different producer. And put “Song For The Fields” to bed, already. Fields are in town next Friday, May 11, opening for Blonde Redhead and then play a show of their own May 14 at the Amp’d Mobile Studio (free tickets still available). They’re also doing a few North America festivals this Summer (Coachella this past weekend, Lollapalooza in August) and I wouldn’t be surprised to see them at V Fest in Toronto come September. Check out some A and V from the band below from both the EP and the full-length – that’s the EP version of “Song For The Fields”, hear the album version at their MySpace – and there’s a bit more to download at this fansite. Bjork talks to The Guardian about getting extroverted on Volta, out next Tuesday. NME is streaming the whole album this week – the link is under “media”. Thanks to Mark for sending me this interview at The Syn Radio with Chris Olley of Six By Seven. It seems the band is no longer split up though they seem more interested in their side projects and there’s still no release date for the long-discussed best of/rarities comp. But hey, they’re answering email. Aversion talks to the brothers White of the Electric Soft Parade, in town June 12 at Lee’s Palace with their alter egos Brakes Brakes Brakes. The Scotsman talks to The Twilight Sad about their adventures in North America. Though I have to say, contrary to what guitarist Andy MacFarlane says, I don’t remember a single encore when they played Toronto last month. Daytrotter got all Francophone last week, offering up a session and an interview with Malajube and today, they’re offering up same for Grizzly Bear (Session/Interview). And not to be outdone on the other side of the Atlantic, this week’s Take-Away Show features Alan Sparhawk of Low. Bandega talks to Bubba Kadane of The New Year, who will begin recording their next album in August with an eye towards a mid-2008 release. Touring everywhere except Canada to follow. Via Bradley’s Almanac. Spent much of the weekend watching season one of The Wire. When is season four out on DVD? I’ve a sick feeling I’m going to be caught up through the first three well before it’s released. There’s an initial temptation to call The Love Story a dream-pop band, after all – they’ve got a lot of the hallmarks. Languid female vocals, tempos in no particular hurry to get where they’re going, the occasionally well-placed fuzz bass line and squall of noise, that sort of thing, but they mess with the recipe enough that the pigeonhole is not a good fit. Most evident is the dryness of the production – rather than utilize the mandatory wet sheets of reverb, The Love Story is decidedly dry-sounding, almost parched in points. And since the arid production doesn’t smooth out any of the rough edges, Molly Donahue’s vocals are able to range from Hope Sandoval-ish haziness to PJ Harvey-ish howls. Unsettling yet engaging, they’re playing the Drake Underground this Friday night with fellow Noo Yawkers She Keeps Bees. You may recall I concluded my review of Page France’s last album Hello Dear Wind with “Page France makes me want to go out and get in a fight”. Well it seems the therapy has been helping, because I was able to get through their latest offering, out May 8, without wanting to inflict violence on my fellow man. And it’s not because they’ve changed, as ever they remain dedicated to creating twee, orchestral-folk indie-pop soundtracks for Sunday school picnics and watercolour competitions. And while I still find myself getting a bit anxious at around the 2/3 point of the album – 14 tracks long – it’s okay. They’re okay, I’m okay, everyone’s okay. Page France are playing the Over The Top Festival this week with an evening show on Thursday, May 3 at the Whippersnapper Gallery and a matinee at the Tranzac on Saturday, May 5. COME SEE THE LONG WINTERS IN A CHURCH IN TORONTO! Like ‘Sessions on West 54th’, Beautiful Noise aims to be the music series people will be collecting years from now. The Long Winters will be taping an episode on May 3rd. Produced for RAVE HD in the US, this is a Canadian production shot at Toronto’s Berkeley Church in front of a live studio audience featuring some of today’s leading musical acts. The show’s producers have about 200 free tickets to this performance. Doors open at 7:30 pm and seats are first-come, first-served. Beer and water will be for sale at the bar. — Agreement by entering venue to appear in broadcast / please stay home if you don’t want to appear on TV! And while you’re at it, check out these interviews with John Roderick at The Statesman-Journal and The Yakima Herald. It’s tax weekend! 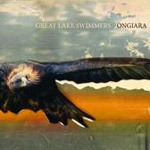 And since I’ve just given the government a huge chunk of money, I’m going to stay in the giving mood and offer up a copy of the Great Lake Swimmers wonderful new CD Ongiara courtesy of, well, me. I’ve got an extra copy. I went on about the album just a couple weeks ago so I’ll just direct you there if you need to be sold on the band or the record. To enter, leave me a comment stating which is your favourite Great Lake and why. And if you say “Superior because it’s superior”, you are instantly disqualified. The contest will run until midnight, May 4 and is open to anyone and everyone. Just be sure to leave you correct email address – disguise it to distact spambots if you must but make sure I can figure it out. They’re currently gallivanting around Europe and will be touring the US in June, so if you live in either of those locales, do check them out. 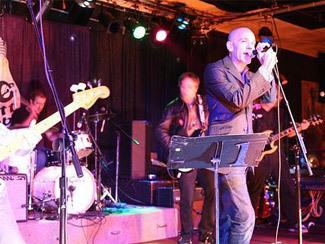 So on the night of September 12, 2006, at the 40 Watt Club in Athens, Georgia, there occurred a tribute concert to the city’s most famous sons, R.E.M.. The entire story of the evening can be read here, but the upshot was that eight Athens bands spent the evening covering R.E.M. songs and the band themselves – including original drummer Bill Berry – played a two-song set and sat in with many of the other performers. The bulk of that evening’s performances, except for R.E.M.’s songs and a few others, has been collected on Finest Worksongs: Athens Bands Play The Music Of R.E.M which will be released May 15 and proceeds from which will go to benefit a couple of Athens charities. I can only imagine how exciting it must have been to be in attendance that night, let alone being one of the artists performing – especially with the band you were going to be covering actually watching. It wouldn’t surprise me if everyone was extremely drunk and/or extremely nervous because to be totally honest because that’s the only excuse I can think of for why the performances on this record are so, well, I don’t want to say bad but there’s nothing especially noteworthy here either. While I’m sure that everyone who participated is a perfectly good musician in their own right, here they mostly sound like cover bands in a college bar, offering interpretations that are workmanlike at best, uninspired at worst. Patterson Hood is the biggest non-R.E.M. name in the lineup and the only one I know and to be honest, he sounds pretty bad for the first song or so before managing to find and stay in key. He does get it together by “Second Guessing”, however, and throws in an excellent R.E.M. gig anecdote for good measure. Also on the plus side, the song selection from most acts is unconventional and everyone seems to be having a genuinely good time of it. Maybe I need to knock back a few (dozen) Jack and Cokes and try to experience it thusly. Mind you, I’m coming at this recording from the perspective of someone hoping for a decent and creative tribute record to one of his favourite bands, which it’s really not intended to be. Taken as a document and memento of one rare and special night in Georgia last Fall, it’s just fine – after all, this is how it sounded and the rough, bootleg-ish recording quality certainly adds to that vibe (I’m talking high quality, modern day bootleg, btw, not cassette tape in a jacket pocket-fidelity). I’m certain that anyone who was there that night and most people who wish that they were will want a copy nonetheless and proceeds do go to a good cause. As mentioned earlier, the R.E.M. set doesn’t appear on this recording but instead were already released on the 2006 fan club Christmas single along with a couple other songs from the show. But I’m a little astonished, now that I think about it, that there hasn’t been an R.E.M. tribute album yet, at least not one with a high-profile lineup. Or has there? If you haven’t been before, you should visit Pop Songs, a newish blog from Matthew Fluxblog dedicated solely to the songs of R.E.M. And coincidentally, USA Today‘s PopCandy blog has been polling its readers as to their favourite R.E.M. songs (Q combines both these topics into one). Whitney limited it to five, so I’ll do the same – off the top of my head, “Fall On Me”, “Nightswimming”, “Perfect Circle”, “So. Central Rain” and “Find The River”. Oh man, that seriously doesn’t even begin to cover it. I guess I’m in a mellow-ish mood right now. But it’s funny how sometimes it takes hearing a song played… not well… to remind you of how much you loved it in the first place. And speaking of Hood, Nashville City Paper talks to him about the departure of Jason Isbell from the Drive-By Truckers and the addition of guitarist John Neff, who also played with Hood at the R.E.M. show. And on the topic of covers – Pitchfork brings news of a new compilation coming out on August 7 called Guilt By Association which will feature artists like Superchunk, The Concretes and Luna (!) covering such generally unhip acts like Destiny’s Child, Take That and Paula Abdul, respectively. Luna covering Paula Abdul’s “Straight Up”. When on earth did this happen? Needless to say, I’m all over this like a fat kid on Smarties. Examiner.com talks to The Decemberists. Did decent recordings of any of the R.E.M. covers they were playing as encores during last Fall’s tour ever surface? I think they were Life’s Rich Pageant-era tracks. J Mascis of Dinosaur Jr comments on the season-to-season inconsistency of Dawson’s Creek to Exclaim. I think I started watching the show around season two and yeah, it was horrible. And yet. Drowned In Sound talks to Conor Oberst of Bright Eyes. They’re at Massey Hall on May 22. Some more show news – Chad Van Gaalen is at the Tranzac on May 29 while Calvin Johnson and Julie Doiron team up for a show at the Music Gallery on June 30, tickets for that are $15. Interesting experience Googling New York City guitar savant Marnie Stern – instead of being taken to her website, I got waylaid here, with Google dutifully warning me “visiting this web site may harm your computer”. With guitar shredding, maybe. Stern is at the Silver Dollar on July 6, tickets $10.50. And finally, The Hives have been added to the second day of V Fest Toronto.